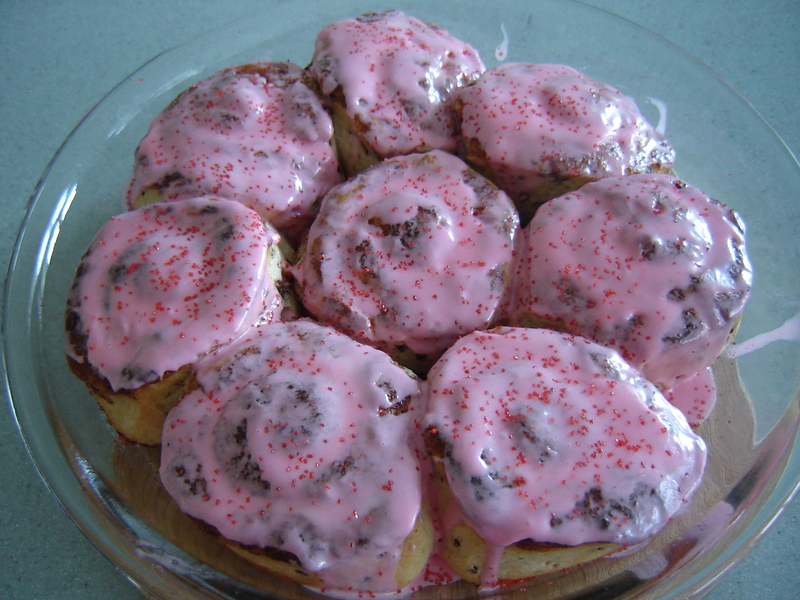 We love the refrigerated Pillsbury cinnamon rolls with the regular icing. Not the orange or cream cheese, just the plain. They are a treat for us on a weekend occasionally. So when I make them for my kids I try to make them a little more special. Add a couple drops of food coloring to the icing and stir well. Colored sugar sprinkled on top finishes them off. Sprinkles or jimmies, as they are called in some parts of the country, are great too. Mix it up for holidays or a birthday. Use the birthday person’s favorite color. Use green for St. Patrick’s Day, red for Valentine’s Day and blue for 4th of July. Then watch your family gobble them up! This entry was posted in Kid's Favorites, Make It Special. Bookmark the permalink.